Peter Jessen of I.K. Gottfried invented the unique mezzo saxophone tuned in G for Benjamin Koppel back in 2007. It didn’t take long before Joe Lovano heard the instrument and ordered one for himself. This became the base for the Mezzo Sax Encounter. Together Joe and Benjamin have explored new territories with this wonderful and rejuvenating invention. They played their first mezzo concert together at Summer Jazz Festival 2013. This present album recording was made at Summer Jazz 2015 together with an amazing rhythm section; Kenny Werner on piano, Scott Colley on bass and Johnathan Blake on drums. The Mezzo Soprano Saxophone is a brand new member of the saxophone family and is developed, created and produced by Danish Instrument maker Peter Jessen. Benjamin Koppel immediately saw the scope and potential of this new instrument and through the painstaking process of prototyping he contributed with his musical expertise and expressed his needs, opinions and desires, all helpful to the project. The Mezzo Soprano is tuned in the key of G placing it right between the standard Soprano (Bb) and the Altosax (Eb). This gives it a warm, yet crisp sound very similar to the Cor Anglais. It handles very well and has more flexibility than the Soprano, but most of all; it has a unique voice of its own. The instrument is made entirely by hand. The body is cut from Brass sheet metal, folded, soldered and hammered into shape. Every mechanical part is manufactured by hand and fitted to the individual instrument. All work is done in Copenhagen, Denmark at the I.K.Gottfried Workshop established 1796. Benjamin Koppel pioneered the Mezzo Soprano recording his father’s (Anders Koppel) String Quintet with Sjællands String Quartet in 20. and he has since performed on the instrument with Danish and international Symphony Orchestras. In 2010 he premiered his father’s concerto for Mezzo Sax, Cello, Harp and Orchestra with fellow soloists Tine Rehling (Harp) and Henrik Dam Thomsen (Cello). Through his close friend and collaborator, the pianist Kenny Werner, another saxophone great, Joe Lovano (arguably the most famous and innovative saxophonist of our time), got “wind” of this new instrument and during a stay in Copenhagen he tested the instrument and commissioned Peter Jessen to make one for him. 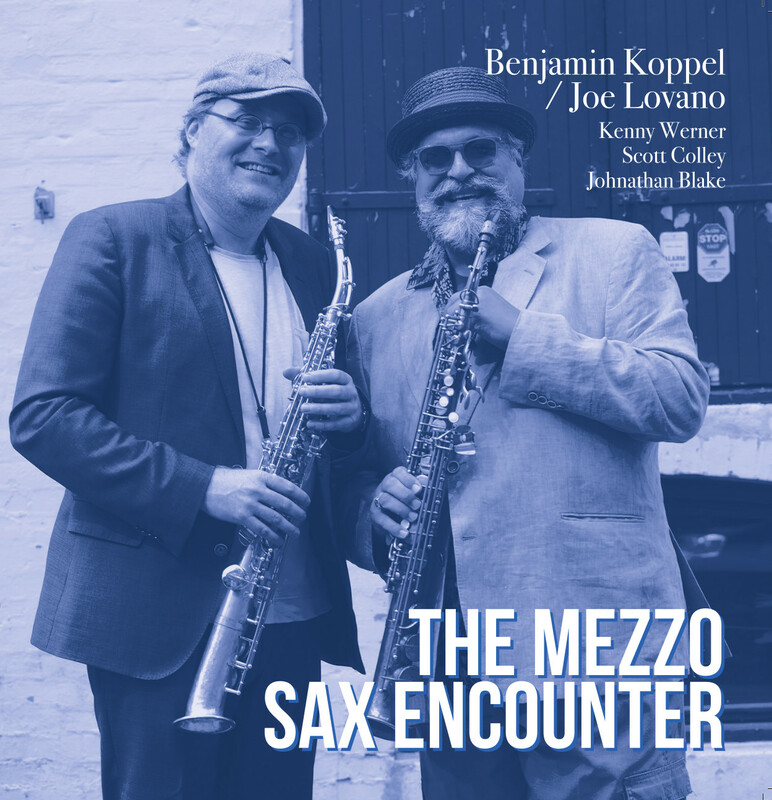 At the Summer Jazz festival 2013 Joe Lovano and Benjamin Koppel performed the showcase concert “Mezzo Summit” exploring the possibilities this new instrument offers their individual styles in a powerful and playful jazz battle. Two years later at Summer Jazz 2015 Joe Lovano and Benjamin Koppel once again brought their unique instruments to the stage at Betty Nansen Theatre for a Mezzo Sax Encounter. Together with pianist Kenny Werner, bass player Scott Colley and drummer Johnathan Blake they recorded the album ‘The Mezzo Sax Encounter’ which is available on cd, digital download, streaming and vinyl. Many other greats have tried the Mezzo Soprano and expressed their enthusiasm, among them: David Liebman, Chris Potter, Jerry Bergonzy and George Garzone. The instrument is now being used in all musical styles, from classical to free jazz. 7 instruments are currently in existence.